This game saw a welcome return to first-team for Club Captain Scott Thomson and a debut for new-signing Kevin Harper. 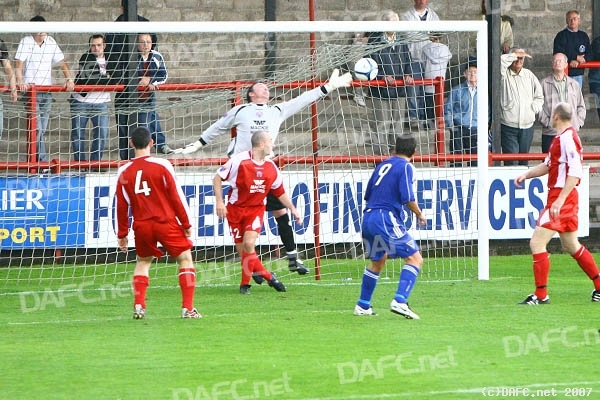 The Pars started the game well with lots of posession and Mark Burchill opened the scoring with a free header. Stephen Simmons doubled the score before the break with a fine strike. 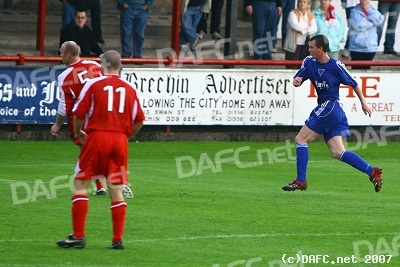 Stephen Glass completed the scoring before Brechin City got a goal back through Darren Smith on the hour mark. No chance for the keeper. The Pars headed North to Brechin for the first of their "proper" pre-season games in preparation for the start of the league campaign that starts on the 4th August. They were followed by relatively large travelling support that braved the thunderstorms up the A90 to the picturesque Glebe Park in the City that is Brechin. The Pars kicked off the game with a very strong line-up. Roddy McKezie was in goals in front of a back four of (left to right) Scott Thomson (c), Scott Wilson, Phil McGuire and Greg Shields. Midfield comprised of recent re-signing Stephen Glass Darren Young Stephen Simmons and of course Kevin Harper (right). Up front we saw the combination of Mark Burchill and Stevie Crawford. The kick-off saw the start of the rain and thunder-storm that preceded it. The Pars looked relatively sharp considering it was the start of the pre-season and the passing was for the most accurate with Kevin Harper in particular looking lively. 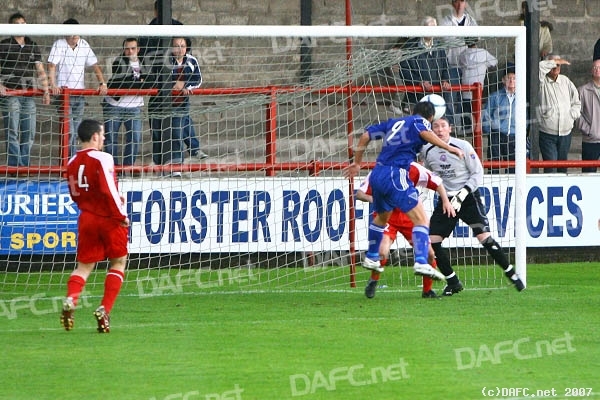 Mark Burchill scoring with a header! The score was doubled just 4 minutes before the break. Good play from Scott Thomson saw him take on the Brechin defender twice in the corner flag area before supplying the ball to Darren Young who crossed the ball into the box. Owen Morrison (right), who recently re-signed came on to replace Darren Young after the break and was involved in supplying many ball from the left flank into the box. His fitness looks a lot better than what it was last season and he for me will be a key player for us. Stephen Simmons doubles the score. 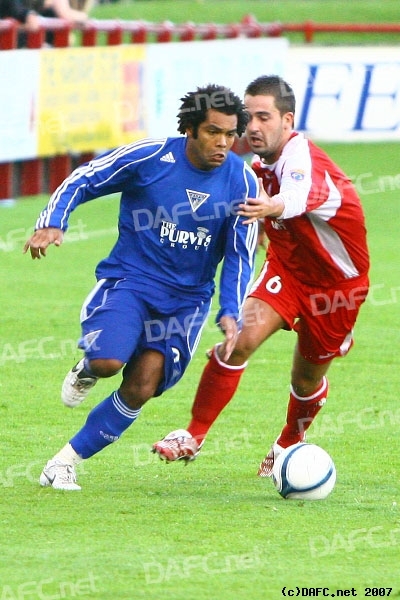 Kevin Harper joins The Pars!